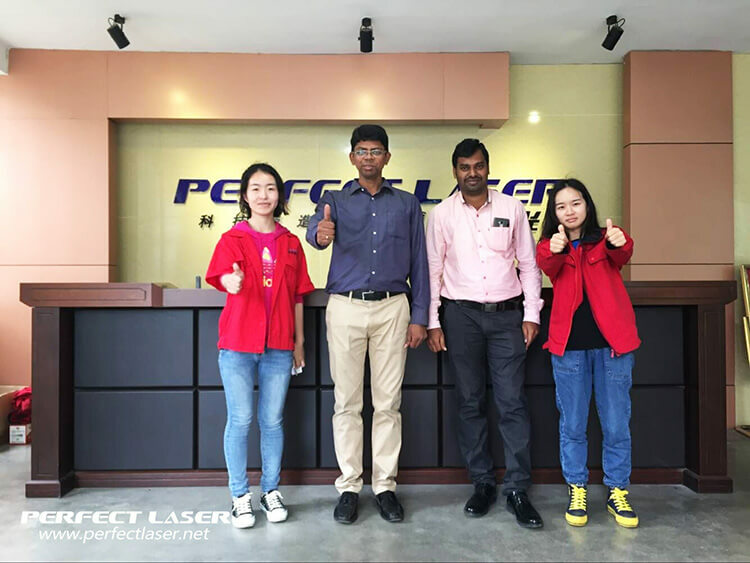 On May 3, 2017, two India customers coming all the way to Perfect Laser to see the fiber laser cutting machine. Our two foreign trade clerks accompanied the customer to visit the company's internal work environment and the operation of the factory process. And under the guidance of the engineers, the customers personally manipulated the proofing process of the fiber laser cutting machine, and with further understanding of the performance and equipment. Through this visit, the two Indian customers have a deeper understanding and experience for our company services and the advantages of the machine. We are looking forward to establish a good and long-term relations of cooperation with the customers in the near future. If you want to know more, please click in Perfect Laser.